Throughout the Nordic countries, you will find unique destinations, which offers unforgettable Northern Lights experiences. From October to March Nordic destinations like Kiruna in Sweden, Tromsø in Norway, Rovaniemi in Finland, Reykjavik in Iceland, Svalbard and Lofoten in Norway attract tourists from all over the world to discover this unique natural phenomenon. The best way to discover the Northern Lights is leaving the towns behinds you. The local Northern Light experts offer all kinds of tours and activities, where you can get some unforgettable experiences, videos or pictures of the unique colouring phenomenon that crosses the sky. Get a unique Northern Light hotel experience in connection with your stay, where you really feel one with the pure nature. In destinations like Kiruna, Tromsø or Rovaniemi, every year before the Northern Lights season, designers arrive from all over the world and create outstandingly shaped ice hotels. Make a reservation as soon as possible, because these accommodations are very popular. 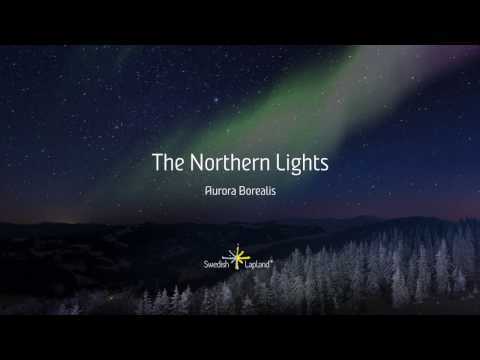 What are the Northern Lights actually and how does this colourful phenomenon occur in the sky?. The bright beautiful dancing lights of the aurora are actually collisions between electrically charged particles from the sun that enter the earth's atmosphere. The lights are seen above the magnetic poles of the northern and southern hemispheres. What to pack for a Northern Light adventure journey can be difficult. Things like warm clothes, thermal underwear, sunglasses, face cream, include good cameras, good warm gloves etc... are essential on the list. The best season for unique Northern Lights experiences is between October and March. In connections with the rapid development of the transport infrastructure worldwide, your dreams about Northern Light adventures get more and more realistic. Nearly every day you can reach destinations like Kiruna, Tromsø, Rovaniemi or Reykjavik from different airports in Europe, and a lot of tour operators attracts with good offers getting here.